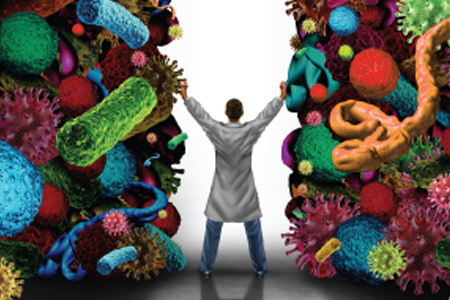 The human microbiome is elaborate and dynamic. Composed of microbial cells in direct contact with the human body, the microbiome covers us inside and out like a cloud and plays a role in radically different areas of health, such as nutrition, early childhood development, hygiene, infectious diseases, and chronic health conditions. Altering the microbiome to treat or decrease the risk of disease may be done more easily than finding therapeutics that rewrite the human genes that have been linked to a certain disease. As some have said, the microbiome is the only “organ” that can be replaced without surgery. Consequently, multiple clinical studies are underway that are testing single commensals, mixtures of defined species and subspecies, and cocktails of microbiota-derived molecules targeting specific microbial species or pathways that are enriched or absent in the disease state in an effort to treat or prevent a variety of diseases.